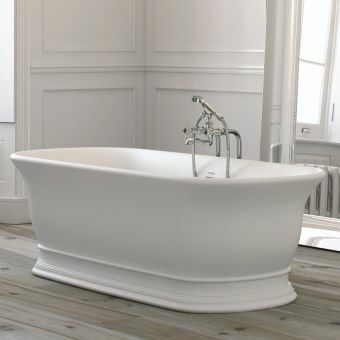 Inspired by the tranquillity of its namesake gardens, the Kew Bath offers a suitably calming bathing experience. 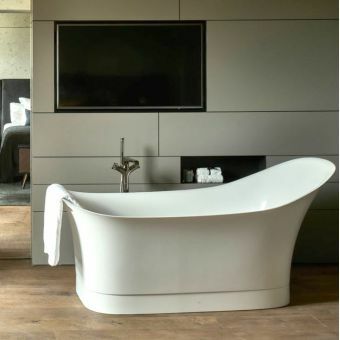 Being double ended, the Kew has the ability to be orientated at any angle within the bathroom, allowing for endless design options. 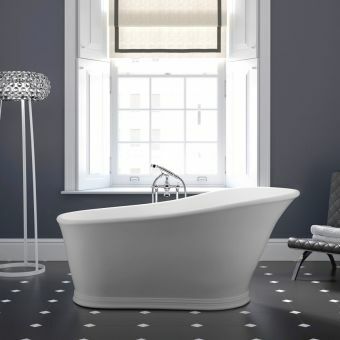 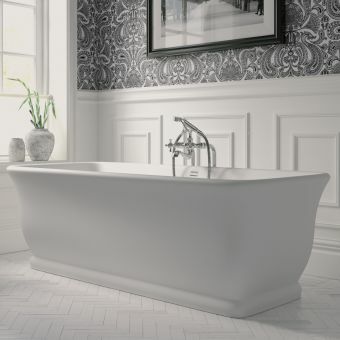 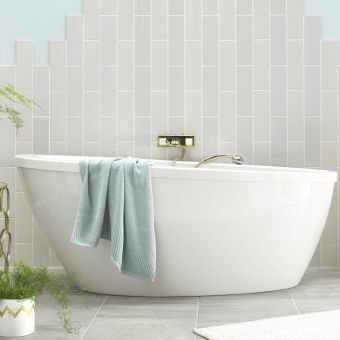 Featuring a simple yet architectural theme throughout its design, its sloping walls provide a comforting soak while the pedestal brings a classical aesthetic to the interior. 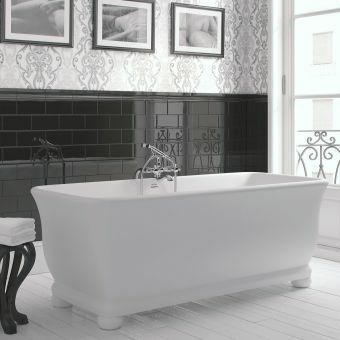 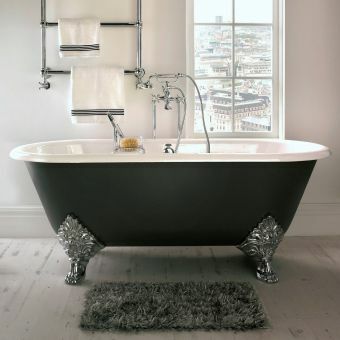 Please note that this bath requires either wall-mounted taps or a floor-standing bath filler. 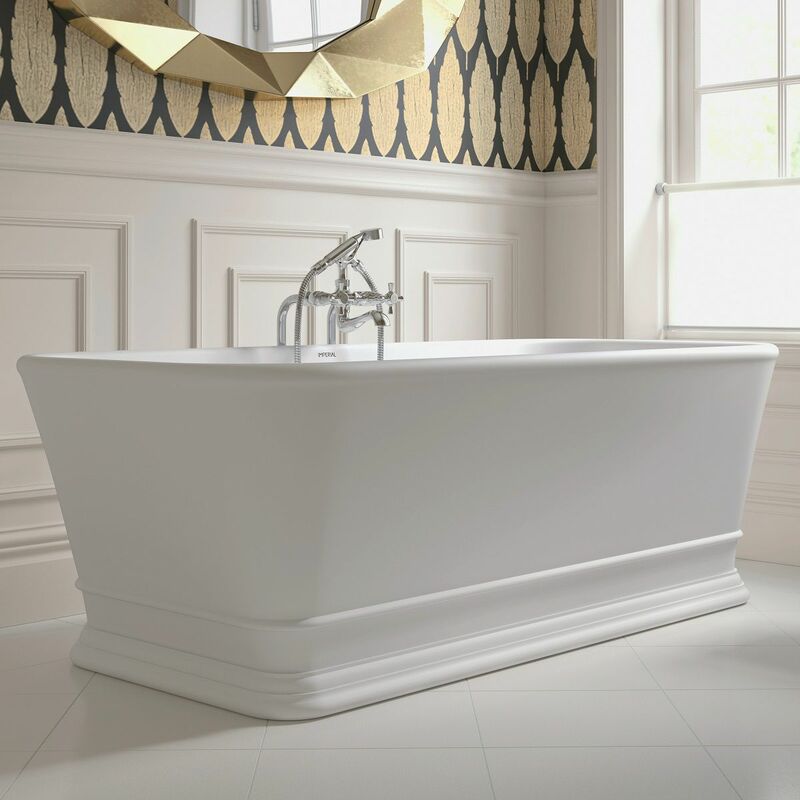 Finished with the Imperial Cian Solid Surfacing, its resilient blend of mineral and resin provide heat retention and scratch resistance. 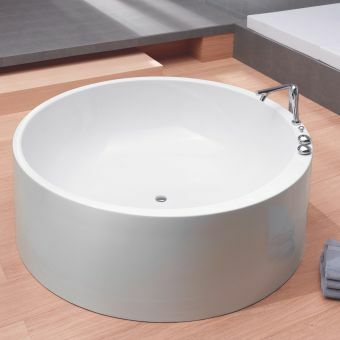 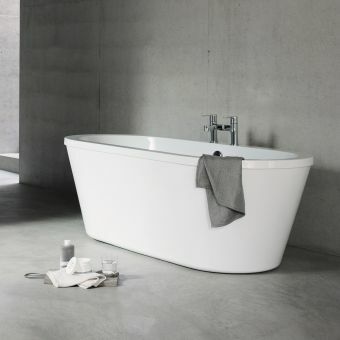 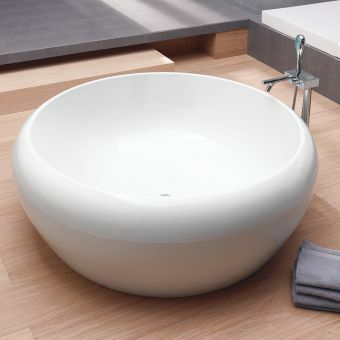 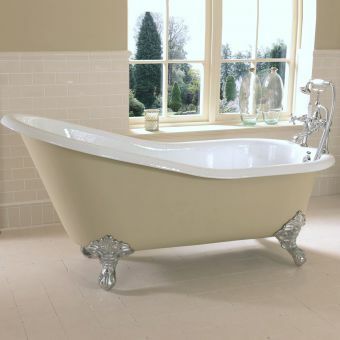 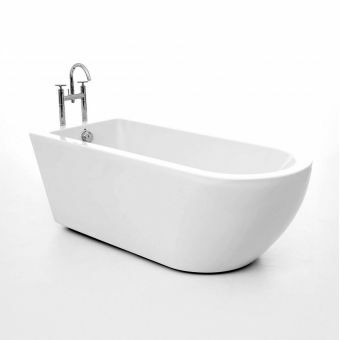 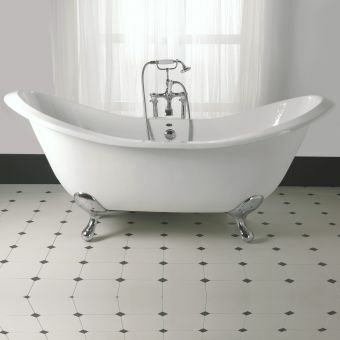 This tub measures 575mm in height, 1690mm across and 760mm in depth.